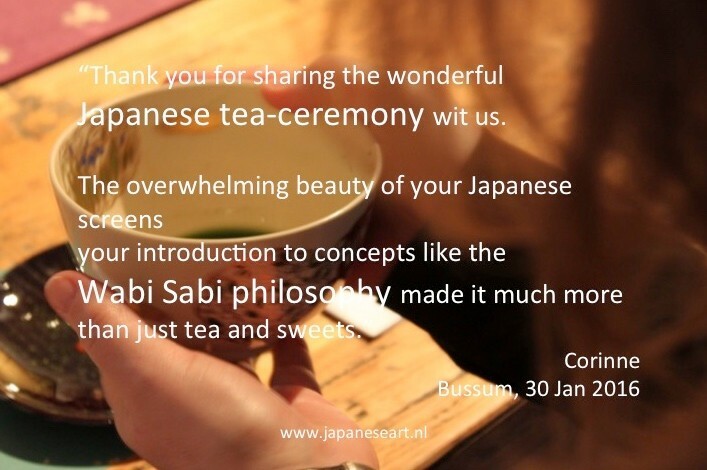 Japanese traditional tea ceremony is like an elegant dance of our body, mind and soul. It is not about making tea. We are there to cherish time, space and our companies - "the very moment of encounter". 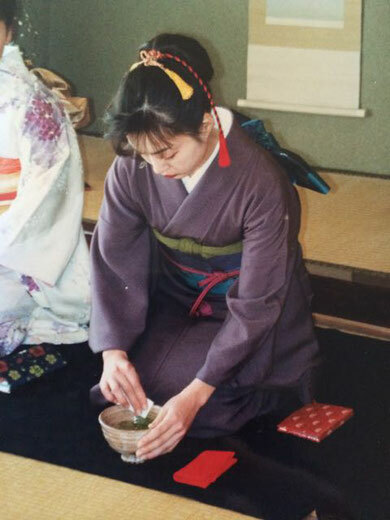 Japanese Tea Ceremony, (茶道) Way of Tea is a ritual of preparation and presentation of tea making with “Matcha” (the finest green tea powder). 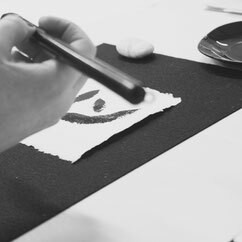 It is a cultural, spiritual and social activity practiced in Japan, based on the philosophy of Zen Buddhism. It is a practice and discipline to quiet our mind, empty our thoughts, totally be in the present moment to appreciate the time and space – Ichi Go Ichi E (一期一会), this very occasion will happen only once. We humbly become a part of nature as we celebrate the season. Every item we use in the tea ceremony represents its season, from the teacups, flower, art to Kimono we wear. The sound of a raindrop can be a beautiful addition to the moment. The tea ceremony is not taught by a book. It is to be learned by the heart. Every movement of preparing tea is like a flow of the dance. It is not a perfected traditional ritual but creating the silence within and out. In the silence, we discover all. 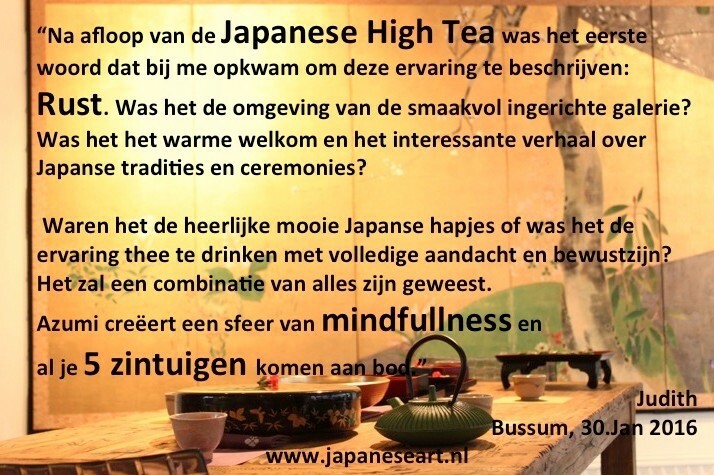 Japanese tea drinking started in the 9th century and evolved and developed into a process of personal spiritual transformation practice. 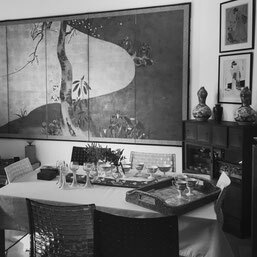 In the 16th century, Sen no Rikyu, the master, has perfected it to the Tea ceremony rituals “Way of Tea” and spread to the society in Japan with the philosophy “Ichi go Ichi e “ One meeting, one time - to appreciate fully in the present moment, as this moment will never happen again. The host will prepare the room. Simply place the art and flower arrangement that represents the season. Guests come in and all will be seated. The host will serve sweets and tea. Guests will receive tea and drink. All the movements are like a dance. It hasn’t changed for 500 years. It is not a perfection of traditional rituals but simply to transcend and unite with the soul by freeing our mind and all intellectual conceptual thoughts. This is a space of acceptance. This is a space of no judgment. 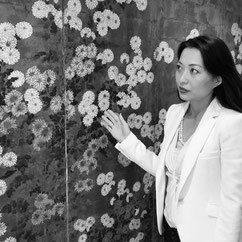 The aesthetics and definition of wabi-sabi is the state of our mind which can embrace all as it is in the now without any judgment and cherish its essence. In the eyes of WabiSabi, there is no imperfect or perfect. Only the truth exist. Seeing the truth without conceptual thoughts and judgment. 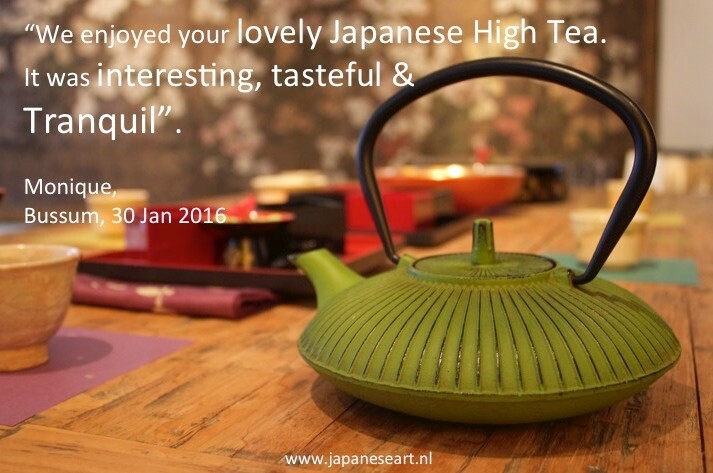 - One hour and half course (Private & Group) at Japanese Salon, Bussum The Netherlands.